NARS HIGHLIGHTING POWDER è una polvere innovativa che crea una luminosità naturale che si fonde con il proprio incarnato. 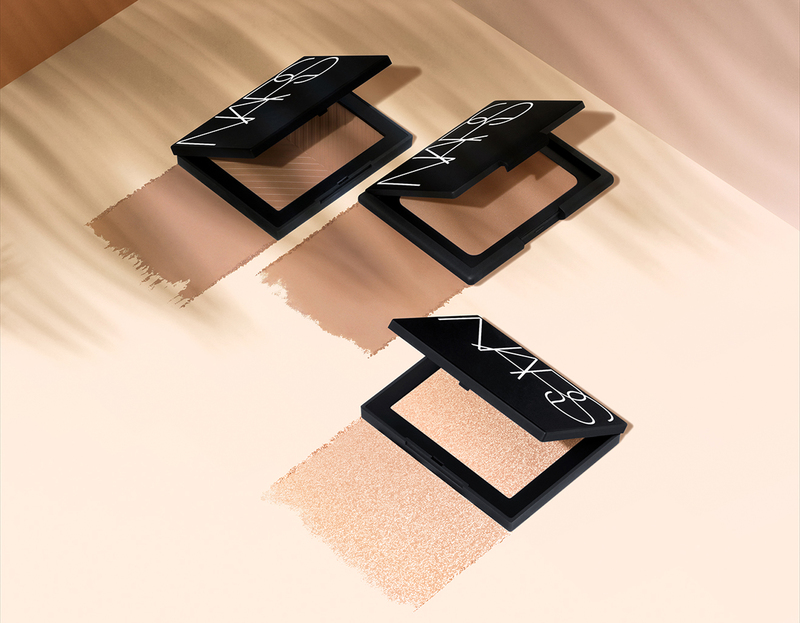 Turn it up with a trio of skin-warming illuminizers. Uncompromisingly innovative Highlighting Powder creates a second-skin luster that blends effortlessly and fuses seamlessly for the ultimate natural-looking glow. Gold-standard Laguna Bronzing Powder warms, enhances, and sculpts with a sheer, buildable shimmer. Laguna Sun Wash Diffusing Bronzer creates a matte, soft-focus halo effect, implementing the powers of our Soft Blurring Technology. · ALBATROSS HIGHLIGHTING POWDER, opalescent gold. · FORT DE FRANCE HIGHLIGHTING POWDER, champagne. · CAPRI HIGHLIGHTING POWDER, crushed pink pearl. · IBIZA HIGHLIGHTING POWDER, yellow gold. · MALDIVES HIGHLIGHTING POWDER, rose bronze. · ST. BARTHS HIGHLIGHTING POWDER, warm bronze. · LAGUNA SUN WASH DIFFUSING BRONZER medium 1, matte brown. · LAGUNA BRONZING POWDER, medium 1, brown with golden shimmer.